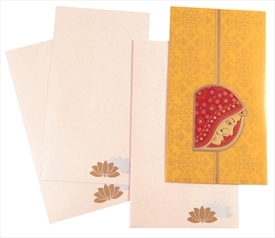 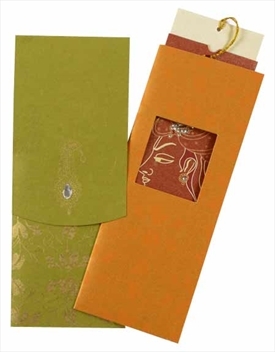 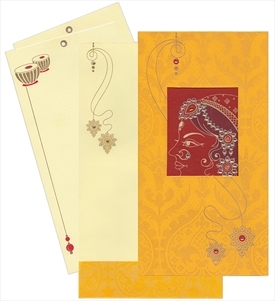 D-1893, Yellow Color, Designer Multifaith Invitations. 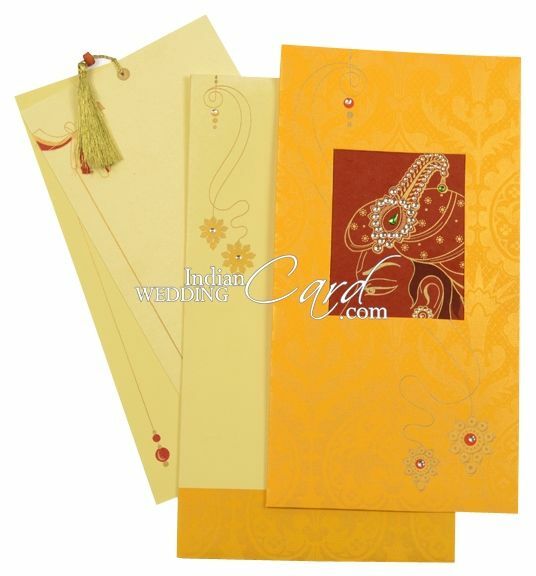 Yellow grounded paper for card. 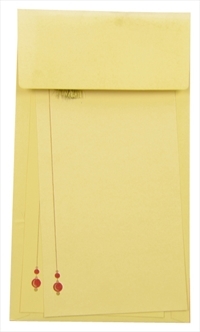 Cream paper for 2 inserts and mailing envelope. 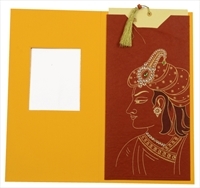 Inside pocket with Groom Design with stone work on red handmade paper.